CBS crime drama The Good Fight tweeted an image on Friday from a recent episode, entitled, "The One Where Diane Joins the Resistance." 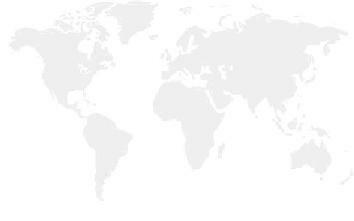 The image showed a character pointing to a list of "target words" that included the phrases "Assassinate President Trump" and "Eliminate Mar-a-Lago." The tweet, which has since been deleted, sparked backlash among Twitter users, many of who reported CBS to the Secret Service. 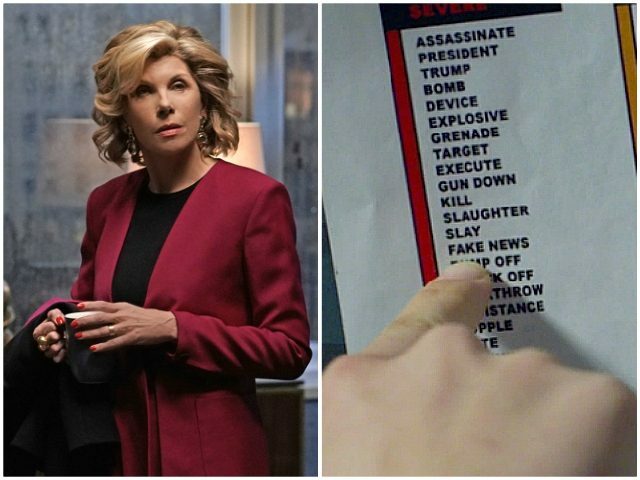 The official CBS Twitter account for The Good Fight asked viewers if they had noticed any "Easter eggs" within the "target words" from the Mach episode. "Hmmm... some of those target words look a little familiar. Did you catch any easter eggs in this scene from The One Where Diane Joins The Resistance? #TheGoodFight" tweeted the account on Friday. The image garnered widespread backlash among Twitter users, who then reported the tweet to the Secret Service. "Threatening the President of the United States is a federal felony under United States Code Title 18, Section 871. It consists of knowingly and willfully mailing or otherwise making 'any threat to take the life of, to kidnap, or to inflict bodily harm upon the President'" said one Twitter user in a reply to the CBS account. "@SecretService, please investigate this assassination threat against President Trump," tweeted conservative activist Scott Presler. "Yes, @CBS this is despicable to run subliminal messages encouraging the assassination of the president @realDonaldTrump," tweeted a third user, "I hope @SecretService investigates @thegoodfight thoroughly." In the episode from which the image in the CBS tweet is derived, the show's character Diane "is encouraged to 'do something' after meeting the leader of a female resistance group whose aim is to sink POTUS' approval rating," according to the episode's synopsis. "Trump, die, fake news, resistance, Pizza Gate," the NSA researcher says, citing the "red target words" that Diane had said over the phone in the previous scene. "Wow, that is like domestic terrorism Bingo," the other NSA researcher replies. Diane, played by actress Christine Baranski, had been on the phone with a former Obama White House opposition research operative who convened a group of women (The Resistance) committed to dragging down President Trump's approval rating to 33 percent, an approval so low that he apparently could never be reelected with. Last year, the CBS drama came under fire after one of its characters suggested assassinating the president.